Rory Kennedy’s Last Days in Vietnam challenges the dominant story told about the 1975 fall of Saigon when the last of the Americans in the country were ordered to evacuate without their allies, the South Vietnamese. 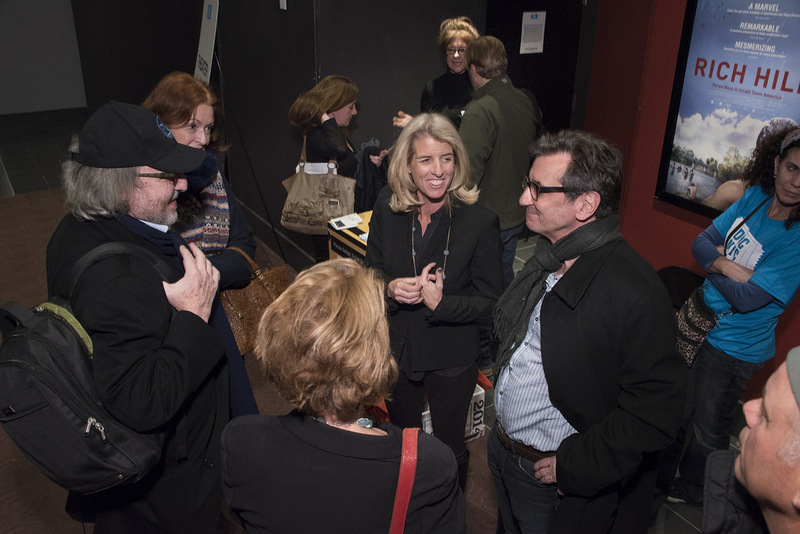 The individual testimonies in the film are extraordinary on their own, but knit together with powerful unearthed footage and untold stories not just of bearing witness, but of active participation, is the momentum behind a remarkable film that left a full house at the DOC NYC screening wiping tears from their eyes. In 1973 the Paris Peace Accords ended United States military involvement in Vietnam. The accord, dubbed by former CIA analyst Frank Snepp a “masterpiece of ambiguity,” called for a ceasefire between the North and South Vietnamese. Once President Nixon resigned Snepp said, “Hanoi saw the road to Saigon as being open.” Fearing mass executions or being buried alive by the North Vietnamese, total disarray seized those that fled further south; cars and motorbikes carried all they could, and planes that far exceeded weight limits were forced to take off with people falling from open air stairs. In the meantime Ambassador Graham Martin considered evacuation to be defeatist and did not consider the situation to be bleak, thus deciding evacuation need not be executed. The film sheds light on President Ford’s determination to assist the South Vietnamese, stressing that “we owed it to Vietnam.” When he reluctantly ordered the evacuation due to Congress’s refusal to provide assistance, underground plans were already in motion as friends and families facing imprisonment and torture were gathered up to meet at the embassy. When Marine Colonel Gerald Berry flew to the embassy on order to pick up Ambassador Martin and bring him to a U.S. ship off the coast, Martin stalled by loading as many Vietnamese as possible with only a few Americans on each trip, planning to be the last American on board. The biggest evacuation in Marine history, Berry flew for 18 hours straight. When Martin could stall no more, the South Vietnamese unknowingly left behind remained at the embassy waiting for the next chopper to safety. The film illuminates the indomitable human spirit that literally propelled people to find a way out of a fate they found so terrifying that to them the risks to flee were less than the risks of staying. Pilot Ba Nyugen, who, upon learning that no one else was coming, gathered his family and community in a chinook, and just flew away. Miraculously spotting the USS Kirk as the chinook ran out of fuel, he radioed to the ship to land. Absolutely not an option without causing irreparable damage, those in the plane began to jump. Ba’s wife, carrying her infant child, let go in hopes that the USS Kirk would catch her (indeed they did) and as everyone else jumped, Ba brought the chinook down, and in what’s known as a Houdini move, took off his flight suit, and leapt into the water as the cumbersome chinook rolled away from him. For more about Last Days in Vietnam, visit the film page on the DOC NYC website.